stepping into the worlds of Gemini and Aries propels you thru the journeys of two women's depravities. In Gemini, she acts alone. In Aries, she has three who are beholden. In Gemini, she's the ruthless killer whose demise is the only option. In Aries, she's the killer you'll beg me not to kill. To find out more, join me in the adventure! it’s going to be the ride of a lifetime! I think out of the box. But would I dare to do what my characters do? Maybe. Maybe not. From my background as a NYS Licensed School Psychologist to teaching in NYC for thirty-three years, to my Ph.D. in Parapsychic Sciences you will find aspects of my career experiences throughout Gemini. I was honored and humbled by International Thriller Writers with an interview in their magazine, The Big Thrill, showcasing Gemini. Now you can get it on Kindle and as a paperback book! 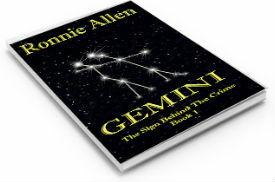 Click and pick up your copy of Gemini on Kindle or as a paperback from Amazon or from Barnes and Noble. I will tell you here, confidently, why I am the expert to write the content in this novel. How many times did you hear “write what you know?” I am doing just that in Gemini. Not only did it cut down on research, and believe me I did plenty, and I will tell you about that as well, but I was also able to write and include themes, settings, scenes, characters and dialogue that I’d be able to make come alive because I’ve been there, done that. 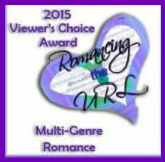 I have won the Readers' Choice award from the West Houston Romance Writers of America. There were 24 entrants, and I am honored to have been selected when the award was announced on 1 July. 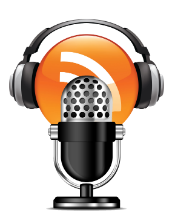 Click to hear my first podcast. I made it with “Your Creative Push” creator, Mike Young, who I met through the Social Media Summit given by Tampabay Business Owners. I was both excited and nervous, to put my voice out there and tell stories very few people knew. My goal was to inspire writers to complete their manuscript and get over the hurdles or obstacles they are facing. Here are three more. This one is a discussion I had with Debra Parmley. Here's a talk Yvonne Mason and I had together. And finally an interview on Your World Discovered with David Ewan M.Ed. Enjoy them all! Click and see my introductions to both Gemini and Aries. These videos are as revealing as the books!